DAPHNE ON A ROCKETSHIP: I want it that way!!!! When i was little i used to be in love with some things!!! !I still love some of them but i don't carry so much!!!!! 1.The first cd i got was the "Millennium" by my fav band Backstreet boys!!!!!! !I still listening to it!!!!!! :p Oh!!! !I used to be in love with Nick!!!!! 2.I think we all know Monopoly and we used to play it!!!!!!! 3.Also i used to be in love with Leonardo DiCaprio!!!! !After Titanic he was my fav!!!! 5.I used to have 20 barbies-i was sooo in love with them and their clothes!!!! !And ofc i used to have a barbie car and a house!!!! 6.I don't know any kid that doesn't like ice-cream!!!!! 7.My fav movie as a kid was Anastasia-i used to watch it 3 or 4 times a day!!!!! 8.I also use to have a pink bag that i was sooo in love with-i was putting everything there!!!! I used to love other things too but i was addicted to those i wrote!!!!!! the backstreet boys album was my first cd! i used to play my toy piano and imagine i was a member of the band ! 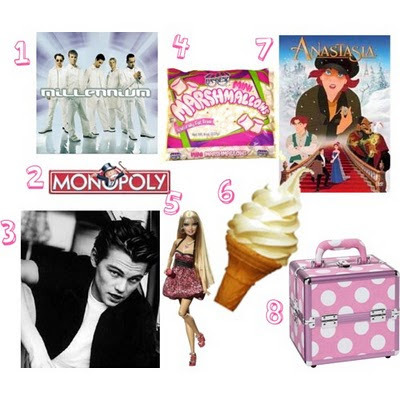 m arese para polu k mena i monopoly,i barbie k fusika,ta mardhmallows:)ax auta ta zaxarwta! oh the days when it was backstreet boys vs nsync. ofcourse i pick bacstreet boys all the way! right on girlfriend! LOL WOOT WOOT! also, leo d?! oh boy... you have a lot in common with jess from http://alrightstill-jessica.blogspot.com/ then! she plans on marrying him someday. lol. also, thank you for the comment. you should get a calendar! it will save your life. hahaha! hola! hellou!! Good things ehhh!!!!! I like DiCaprio! yummy! backstreet boys are so good!! to ekana ki egw auto me thn tsanta kai koubalousa ola mou ta agaphmena ! auto ta paidia exun anagkh na to kanoun giati niwthoun asfaleia me auta ta antikeimena ! wx ti mu kanes twra thelw zaxarwta !!! oh god so many memories - wasn't leo so dreamy back then? 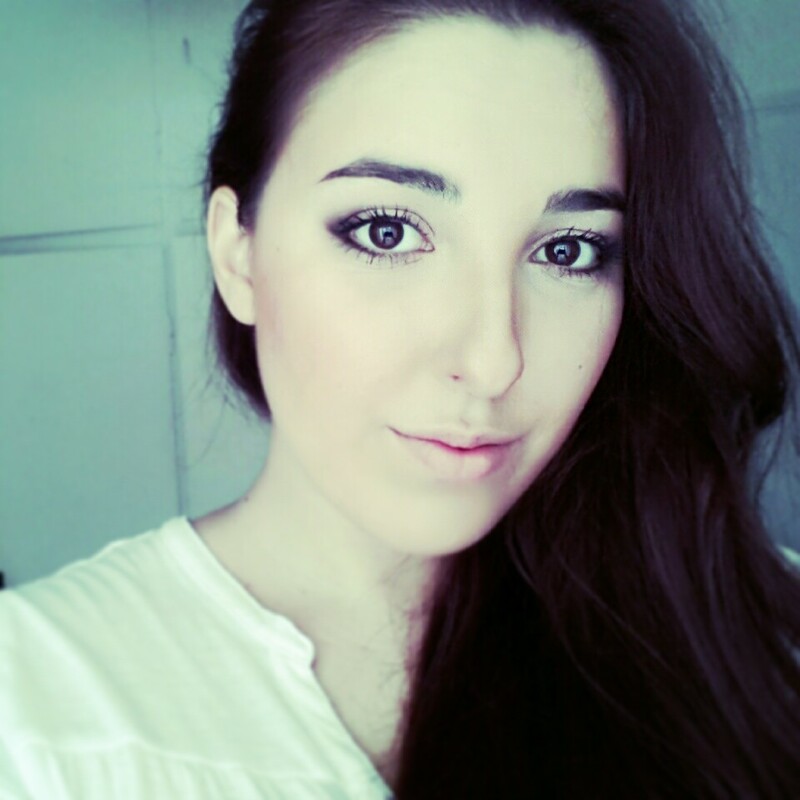 Cute blog lady, now following! Makes my miss my caboodle! Thnx guys for your lovely comments!!!!! Thanks for the nice comment! I love your pictures in the sidebar. I try to take vintagy looking pics and they always just turn out forced and trite... Maybe I should stick to watercolors. Hello! I moved my blog to another and I lost all my followers, so this is my new blog, If you wanna follow, just click my name and it will be redirecting to you to my new blog. Hope you enjoy my blog as I do with yours! Backstreet boys rock! I was a Spice Girl fan too! Your post was nice to read! I am happy that I found your blog, I am your new follower! WE used to dance together-remember?! pooo BSB...ax! But i want it that way...tell my why...epiko kommati poy to akouw euxarista mexri simera!